Rachel and Sebastian's wedding was in October at the Saybrook Point Inn & Spa in Old Saybrook, Connecticut. Rachel and I met as colleagues and although we have both moved on to new companies remain great friends. You're likely to find us catching up after work at one of our favorite meeting spot in Manhattan, Artisanal, sipping on dirty martinis. 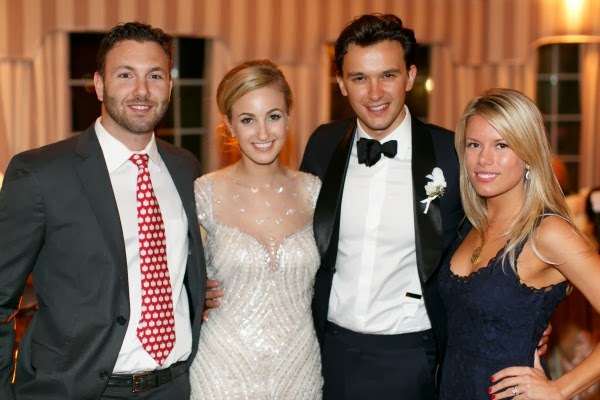 Ted and I attended several weddings last year and ended the season celebrating with an amazing couple. Sebastian is her perfect match and I couldn't be happier for them. 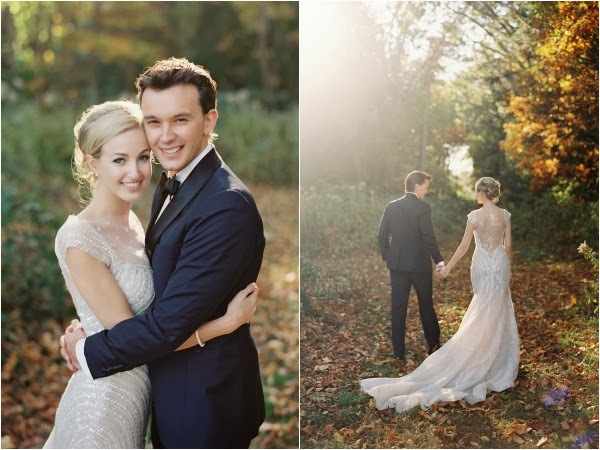 The pictures speak for themselves... the wedding was gorgeous and reflected Rachel's imitable style. Orchids, galore! 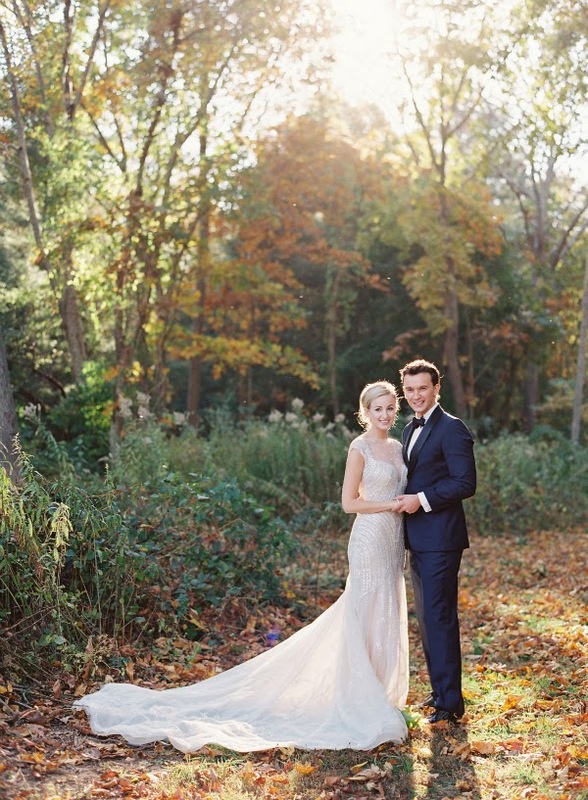 Rachel's Dress: Pronovias. Shoes: Valentino. 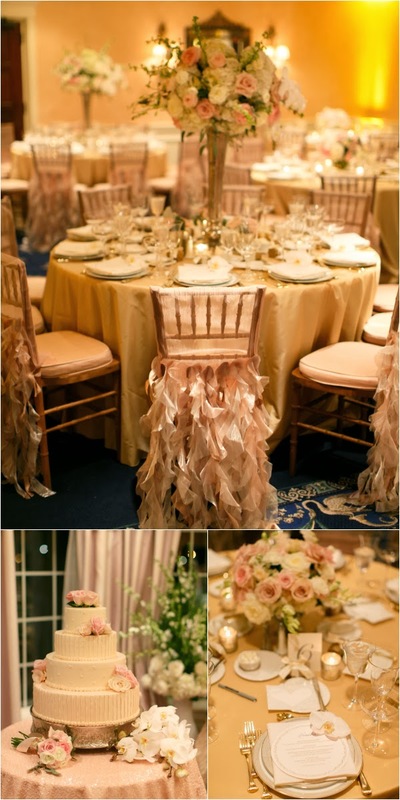 Those chair covers are over the top gorgeous! I couldn't have pulled those off but they look great! looks absolutely stunning, love her dress too-very unique! 90's Flashback: I'm a "Felicity"